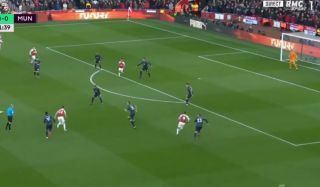 Arsenal have gone 1-0 up in today’s big game against Manchester United thanks to a slightly strange long-range goal by midfielder Granit Xhaka. The Switzerland international might’ve got a bit lucky with this speculative effort as David de Gea had an uncharacteristic lapse of concentration to allow it past him. It’s been very windy up and down the country today, which may have played a part in this effort finding its way in, but it does also seem like De Gea could and should have done much better. United have been superb under Ole Gunnar Solskjaer, so you wouldn’t bet against them turning this around yet. For now, however, Xhaka’s goal gives the home side the lead at the Emirates Stadium.